Not just any burger, but 180gr/ 6oz pure beef patties that he makes himself from chuck steaks that are first cubed and marinated in boerewors seasoning for 24 hours before being minced twice at 8mm. As a result: a subtly yet distinctly seasoned and coarsely ground patty with the right fat content to end up nice and juicy when grilled. I got myself a couple of Boerie Burger patties and they really delivered. 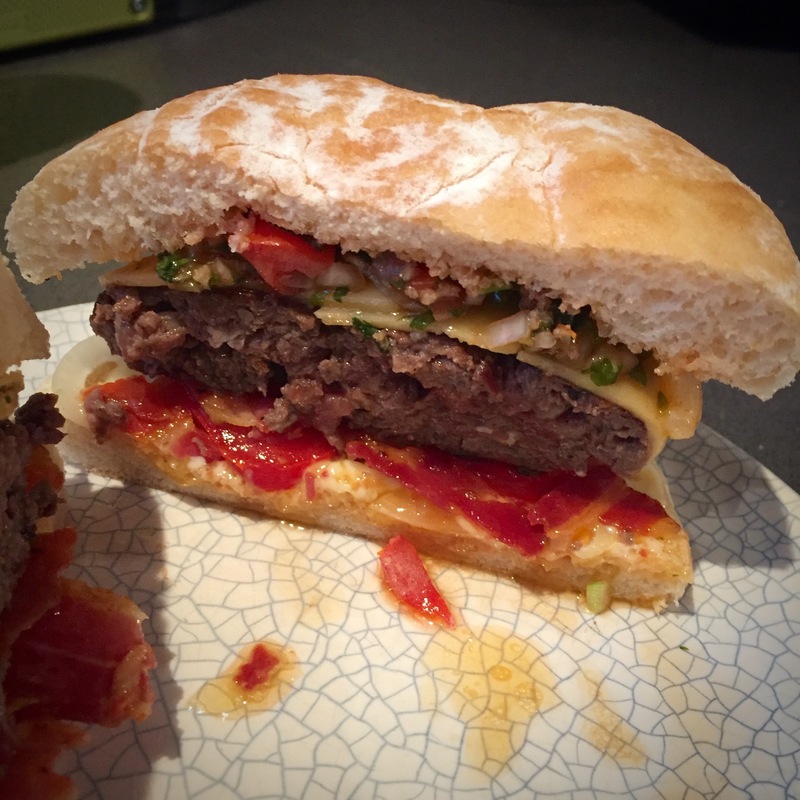 It was a rare moment that I found myself – after finishing the last bite and grinning ear to ear – mumbling to no one in particular: “Wow, that was damn good burger…” Furthermore, I am sure they are going end up even better when actually put on the BBQ. The Bois Boudran sauce made it hugely messy to eat but it was a match made in heaven, really complementing and not overpowering the flavour of the Boerie Burger patties. Only downside I can think of is the use of Old Amsterdam cheese. It tastes great, but it doesn’t melt very well and therefore usually starts looking a bit “sweaty”. 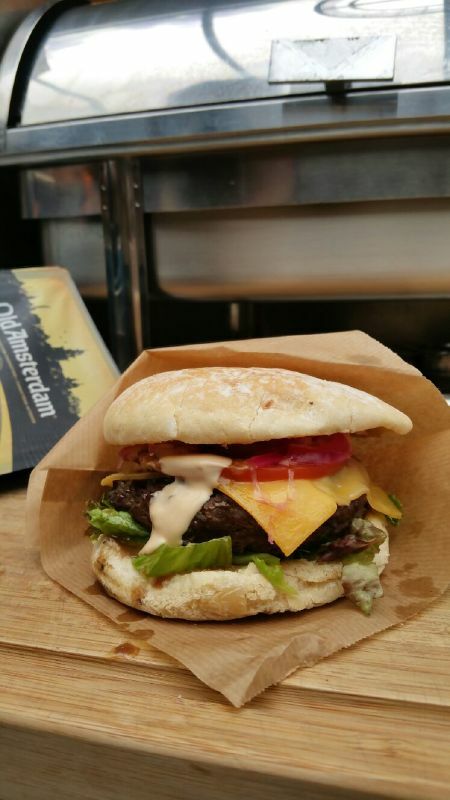 The good news: you can order the patties in NL; the bad news: so far only pick-up in Leidschendam or Amstelveen only; the better news: at EUR 8 per 4, they’re well worth the detour.